Home | Blog | Have you had your 5 a day? 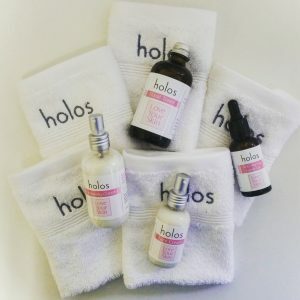 Even though we encourage and love when you try new things with your Holos skincare, like using a body oil in your hair or as a cleanser, or using a facial Exfoliant as a hand treatment, we know that lots of you just want a healthy facial care routine that works. So here’s one. We recommend that you do this at least once per day, preferably at night time. Massage Love Your Skin Cleansing Cream into dry facial skin and neck to remove make-up and grime. Soak Holos facial towel in warm water and use to gently steam and exfoliate the skin while removing Cleansing cream. Using soft cotton pads apply Love Your Skin Floral Toner all over facial skin and neck to close pores, balance PH and reduce inflammation. Massage 4 drops of Love Your Skin Anti-ageing Facial Oil into face, neck and around the eyes for 10-15 seconds to plump the skin, smooth out fine lines, hydrate and reduce inflammation. Massage 2 pumps of Love Your Skin Face Cream into skin to lock in moisture and add skin nutrients. The aromatic signature blend of Rose, Palmerosa, Benzoin and frankincense in the Holos Love Your Skin range not only lifts and balances the senses, it targets dehydration, fine lines and inflammation. Holos is luxurious plant-based aromatherapy skincare that gives you healthy vibrant skin and a LOT of feel good. 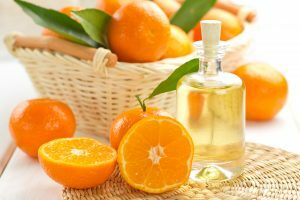 Naturally occurring vitamins and minerals, antioxidants and essential fatty acids feed the skin leaving it with a healthy youthful glow. ………A comfort blanket to the senses and velvet to the skin……..
Holos is handmade in Ireland, natural and holistic, ethically produced and is ever mindful of the environment. Yes you can buy sample sizes of all products excet the This is More which we havent added yet. These give you up to a week to try them and see if they work for you. You’ll find them in the sample section in shop.